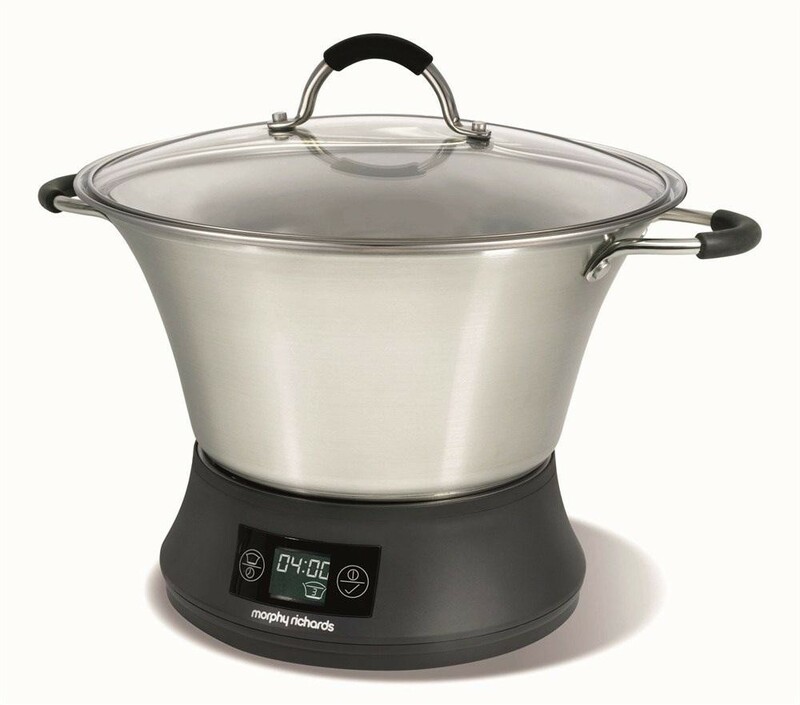 The Morphy Richards 461007 3-in-1 Slow Cooker 6.5 Litre 800W Stainless Steel is the ideal kitchen accessory for creating delicious, tasty stews. The family sized 6.5 litre capacity ensures that there will be enough food to go around the whole family and the 800W power will ensure it is cooked to perfection. The 3 cooking functions on the 461007 enable you to sear, fast-stew and slow cook your food so if you wish to seal flavour in your meat or come home to the smell of a warm home-made stew then this appliance is perfect. The separate cooking pot can be placed on a gas or electric hob to start your meal before being placed onto the base and the digital display clearly indicates how long is left to cook and makes it easy to use. The clear lid enables you to easily monitor the cooking process and both the lid and pot are dishwasher safe making it easy to clean.